On the first day of Subscriptmas, we present this blog to you, an overview of MySolidWorks Customer Portals. MySolidWorks is your place for all things SOLIDWORKS, enabling you to be more productive by connecting you with relevant SOLIDWORKS content and services anytime, anywhere, and on any device. If you have a SOLIDWORKS question or want to enhance your skills, My.SolidWorks.com is the place to go. MySolidWorks is available to everyone and access to the different Subscriptions range from free to a paid annual add in. 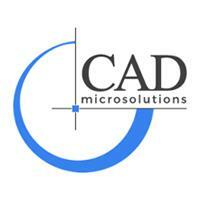 You will increase your ability to become SOLIDWORKS certified using MySolidWorks. How to access your MySolidWorks Customer Portal To create your account, please visit My.SolidWorks.com and click ‘Join’ on the top right hand corner. If you have a license of SOLIDWORKS with current Subscription Services, your portal will be instantly upgraded from the free guest version to MySolidWorks Standard after you enter your license serial number. MySolidWorks for Students Students with a valid student serial number can get access to MySolidWorks. Simply enter your SOLIDWORKS student license serial number when you register, to gain access to a portal comparable to the Standard version. MySolidWorks Standard MySolidWorks Standard is exclusively for SOLIDWORKS users on Subscription Services. MySolidWorks Standard gives you access to more than 600 product tutorial videos, online storage services for sharing designs, and a worldwide network of manufacturers who can help bring designs to life. In addition, it includes access to preparation materials to help users prepare for taking the Certified SOLIDWORKS Associates Exam (CSWA). Since introducing the CSWA program on MySolidWorks, users who completed the preparation course have experienced a 20% greater success rate of passing the exam on their first try, than those who have not reviewed the preparation materials. MySolidWorks Professional MySolidWorks Professional adds tremendous value to thousands of SOLIDWORKS users worldwide, with in depth online training videos and SOLIDWORKS certification prep courses, introducing new skills to help you become more productive. Some of the training modules available within MySolidWorks Professional are SOLIDWORKS Essentials, Advanced Part Modeling, Assembly Modeling, Electrical Design, Sheet Metal Design, Simulation, Model-Based Definition (MBD), PDM Professional, Industrial Designer and much more! These videos provide the perfect opportunity to master your skills and boost professional development. With a MySolidWorks Professional account, you will also have access to the advance exam preparation courses to become a Certified SOLIDWORKS Professional and a Certified SOLIDWORKS Expert. Click here to explore the CSWP session. Click here to explore the CSWE session. Current Subscription Services customers also receive 3 coupon codes annually that can be used towards taking 3 different certification exams per year. These coupon codes are only available to SOLIDWORKS customers that have current Subscription Services. Follow the 4 steps in this blog to access your coupon codes.